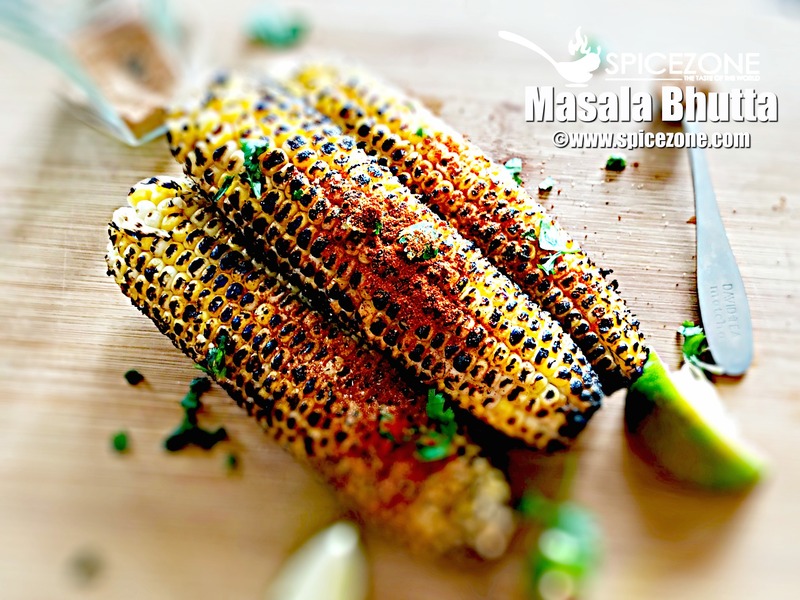 Masala Bhutta, or spiced corn on the cob is a very popular street snack in the monsoon season. Miss those days back in India when we use to look out for the street vendors, get soaked in the rain out on the streets….Sounds like fun isn't??? The street vendors used to be everywhere selling different things such as vegetables, fruits, snacks etc. While walking on the street, you will find vendors making the corn on the coal fire grill. Spices vary from vendor to vendor. I have been in the US for the past 24 years and these are small things that I miss which we cannot enjoy here. I came to Florida where there is very limited things as compared to New Jersey. Here in NJ, we get a lot of things like we used to in India. I still think it doesn't feel the same and it won't which I have accepted with time. I have heard a lot has changed there too as I haven't been there in the past 12 years. I would love to take my family there and show them around. I miss India…..Do you all miss India too? Remove the husk from the corn, I have used the cleaned ones so didn't need to do that. Grill the corn on the gas or on the gas grill. Keep turning every 30 seconds so that it is cooked evenly. Once it is done. Take the lemon or lime wedge whatever you are using and dip it in the spice mix. Rub the spice mix on the corn. Sprinkle a little more lime/lemon juice as per your taste. 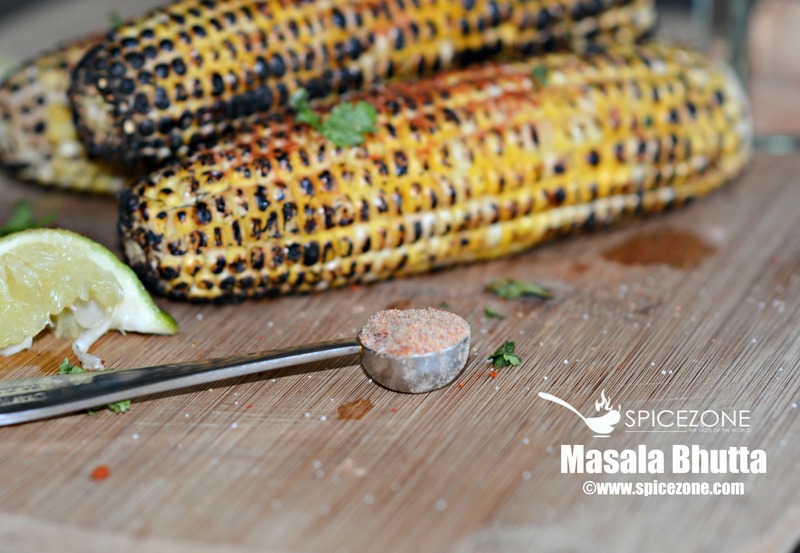 Enjoy this tangy corn with the medley of spices. 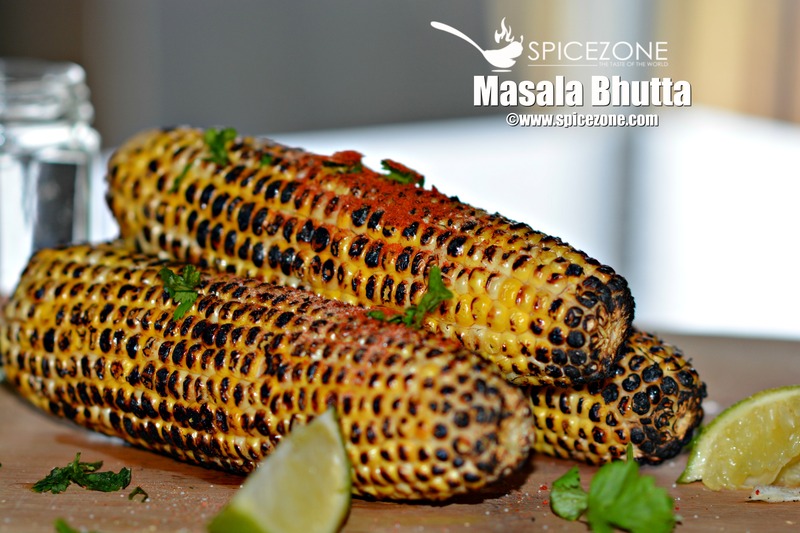 Masala Bhutta, a low calorie street snack enjoyed by all specially in the monsoon season when it is gloomy and raining out.